Thanks to its vast repository of beautiful photos, home remodeling platform Houzz can easily give you a major case of home envy. But if you want to bring your home up to the standard of those homes, Houzz has long allowed you to buy products you see in those photos. Now the company is making it even easier to buy even more products. The service now uses a new deep learning-based system that scans photos and compares it to the tables, lamps, sofas, mirrors or plumbing fixtures in its product database. Houzz currently features 11 million home photos and makes available to its users about 6 million products from 15,000 merchants. The company launched its marketplace back in 2014. While Houzz doesn’t disclose how many items are actually sold on its service, the company says the total number of purchased items increased four times in 2015. That could mean the company sold four candlesticks in 2015, of course, but chances are that with 40 million monthly uniques across mobile and web, the number is likely higher. 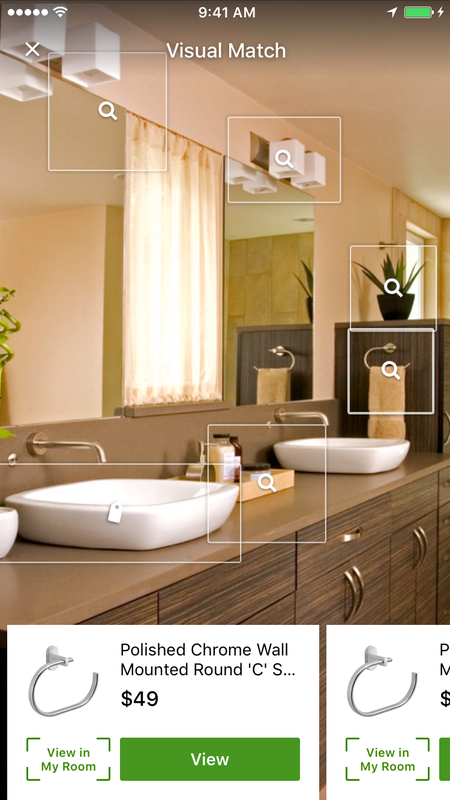 Houzz says its top-selling products are big-ticket items like bathtubs and sofas. Assuming its marketplace is a major driver of Houzz’s revenue, then being able to sell more products simply because it can now show more relevant products to its users is going to be a big deal for the company. This move also shows how deep learning has applications in e-commerce, which isn’t generally the first thing you think about when it comes to applying this kind of technology.